If one of your loved ones has passed away and you have been selected to write the obituary, you may be wondering just how to do it well. Writing an obituary is a great privilege, as you have the chance to highlight the key moments and accomplishments in that person’s life. However, writing an obituary is also difficult. Of all the things that cause writer’s block, writing an obituary might be at or near the top of the list. This is because writing your loved one’s obituary is a task that is loaded with emotion. It’s normal to feel overwhelmed, tearful, or just plain stuck while you’re writing an obituary. 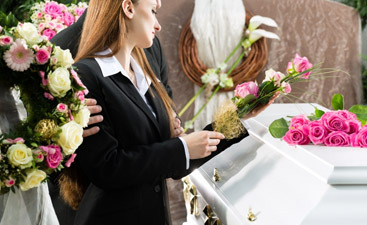 However, there are proven principles that you can use to make sure that your obituary gets done well and is a fitting tribute to your loved one. It is common for obituaries to list all the deceased person’s immediate relatives, and you wouldn’t want to inadvertently miss anyone. Most obituaries list the full name of each person, and you’ll want to verify that you have the correct name and spelling for each relative. The choice of how many extended family members to name is an individual decision for each obituary. It depends on the size of the extended family, how much space it will take up to name each person. Divorced and estranged family members also make this a tricky process, so it’s a decision that only you and your family can make. Here are the typical family members you should include in your list. Don’t forget to mention people who have already passed away, because your final obituary will have two sections, one to name the people who preceded this person in death, and one to name the relatives who are still living. Now that you have your preparation done, you’re ready to sit down and write the obituary. Think of your obituary as divided up into three main sections. If you follow this format, your obituary will come out looking polished and appropriate. Introduction: Provide a global summary of the person’s life. Body: Briefly tell the story of the person’s life, incorporating the highlights that you’ve compiled into a list. Conclusion: Mention funeral arrangements and family members. The first sentence of many obituaries follows variations on a similar format. Name, Age, passed away on [date] at [place] of [cause of death]. Loretta Cooper Wilson, 92, passed away on January 23, 2017 at Compassion Medical Center due to complications from surgery. Richard White, 75, went to be with our Lord on April 2, 2017 at the Angel Care Nursing Home after suffering from a long bout with cancer. Mary Garcia, 88, passed away in her sleep in her home on September 15, 2017. The second sentence usually gives a recap of the person’s main achievement or the thing they were best known for. She was a beloved mother, grandmother, homemaker, and baker who loved to sing. He was a pilot with American Airlines who piloted more than 3,000 flights in his career. She was a business executive who was known for her keen sense of humor and compassionate volunteer service. In the body of your obituary, you’ll back up to the beginning of a person’s life and briefly tell the story of their accomplishments. The body of your obituary should make the person come alive and highlight the most interesting thing about them. As you weave in the details that you’ve compiled in your list, try to avoid falling into a format that repeats, “He or she did this, and then they did this, and then this, and next they did that, and finally they did this.” Instead, take a step back. What if a stranger came up to you and asked, “Tell me about your dad. What was he like?” What would you say? 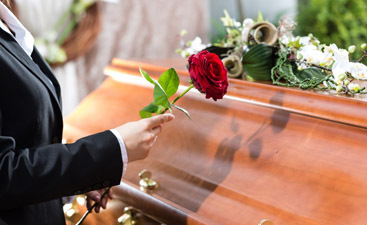 Try to write the body of your obituary in the same natural-sounding words and language that you would use if you were telling someone about that person face to face. What if you don’t have anything positive to say? This is one pitfall that many people encounter when they’re writing the body of an obituary. Not every person lived an exemplary life. If you’re struggling with an obituary that could turn sour, try to divide the facts (what they did) from the emotions (how people felt about them) and take a neutral position in the way you write about them. The conclusion of your obituary is where you’ll list the date, time, and location of the funeral or memorial service (if it is public). You should also mention where donations should be sent in lieu of flowers (if you are choosing not to have flowers). Finish your obituary by mentioning the survivors. Here’s a common format for mentioning survivors. [Name] was preceded in death by [names of relatives, relationship]. [He/she] is survived by [names of relatives, relationship]. Loretta Wilson was preceded in death by George Wilson, her husband of 62 years, Mildred Campbell, sister, and Robert Cooper, brother. She is survived by her two children, Benjamin Wilson and Laura Potter, and three grandchildren, Blake Wilson, Brent Wilson, and Sarah Potter. Well done. You’re finished with the rough draft of your obituary. Take these final steps to ensure that the obituary is ready to be published. Ask another person to read through the obituary and check for factual errors, misspellings, and any grammar or punctuation issues. Make any needed corrections. Get a photo in a digital format (.jpg or .png) to upload with your obituary. You’re done! We hope this was helpful to you. 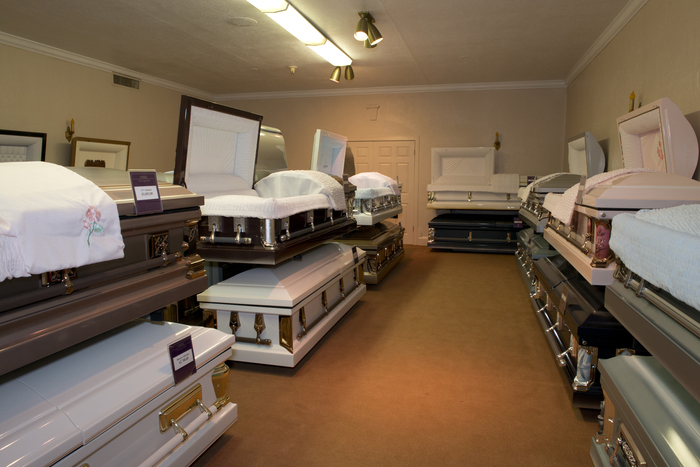 Harmony Funeral Home is here to help with all your funeral service needs. Please contact us for funeral arrangements in the Brooklyn, NY area. We will be there for you in your time of grief.